I should hate Ismail Kadare. I should hate him because I am Macedonian, and he is Albanian, and our two peoples have been enemies for centuries and went to war as recently as a dozen years ago. I should hate him because at a recent meeting of the international PEN centers in Bled, Slovenia, he was the only one who refused to sign a petition to recognize Macedonia under its constitutional name—a petition signed by all seventy PEN members, including five other Albanian writers. I should hate Ismail Kadare because, apparently, he has collaborated with Enver Hoxha’s regime, and didn’t protest strongly enough the cruelties of communism—cruelties similar to those of communist Yugoslavia that have wreaked havoc on my family for more than three generations. Yet after reading his novels and stories, not only do I not hate him, but I want to nominate him for the Nobel Prize in Literature for 2013. Let me explain why. Kadare was born in 1936 in Gjirokaster, a small, fairy-tale-like town in the mountains of southern Albania that has served as the setting for several of his novels, including Kështjella (1970; Eng. The Siege, 2008). It also has that uniquely ironic distinction of being the birthplace of Enver Hoxha, longtime communist dictator of Albania. Kadare was also a member of the communist parliament for more than fifteen years before finally seeking political asylum in France in 1990—five years after the death of Hoxha and on the eve of communism’s dissolution in 1991. He served as the chairman of a cultural institute closely overseen by the dictator’s wife and right hand, Nexhmije Hoxha. He even published the novel Dimri i madh (1977; The great winter) as a paean to Hoxha’s leadership and Albania’s disassociation from Stalinist Russia in 1961. On the other hand, many of his books were banned during the thirty years he spent as a writer in communist Albania. Among them was arguably his best novel, Nëpunësi i pallatit të ëndrrave (1981; Eng. The Palace of Dreams, 1990), which draws an obvious parallel between Hoxha’s regime and a fictional country where dreams are examined for signs of political dissidence. Yet in spite of all his freethinking, Kadare not only survived but flourished in a country where writers were routinely exiled, imprisoned, or executed for much smaller ideological offenses. The Siege, like Kadare’s dissidence, is an allegory of an allegory. At its heart, it is not just a critique of communism but also a reflection on the cultural relativity of historical representation. Like the story of the The Siege—and like that of my own family, in which hard-line, working-class communists, liberal bourgeois socialists, and conservative anticommunists mingled and intermarried—Kadare’s political life does not present a clear boundary between the “bad” communists and the “good” dissenters. Instead, in his fiction, Kadare uses the lens of history to show the constructed nature of political dissent in general. The politically opportunistic chronicler of The Siege, for example, constructs the story of the clash between the Ottoman army and the Albanian enemy, which is transformed in turn by contemporary critics into a story about the clash between communists and their opponents. The Siege, like Kadare’s dissidence, is an allegory of an allegory. At its heart, it is not just a critique of communism but also a reflection on the cultural relativity of historical representation. Kadare’s circumstances challenge Joseph Brodsky’s notion that exile, physical or mental, is the only reasonable response to an oppressive regime. For Kadare, the only way to resist a dictatorship, whether communist, colonial, or neocolonial, is to fight it, over and over again, from the inside, from within the depths of one’s own soul. Unlike other dissident authors from various dictatorial regimes, Kadare does not see a light at the end of the historical tunnel. There’s no escaping the eternal cycle of strife and reconciliation. The war continues, under many different guises. There is no salvation on the other side of the borderline, nor at the front lines of a noble revolution. In this sense, Kadare’s circumstances challenge Joseph Brodsky’s notion that exile, physical or mental, is the only reasonable response to an oppressive regime. For Kadare, the only way to resist a dictatorship, whether communist, colonial, or neocolonial, is to fight it, over and over again, from the inside, from within the depths of one’s own soul. Exile implies a naïve belief in the moral superiority of one side over another. And herein lies the explanation for Kadare’s reluctance to sign the Macedonian delegation’s petition to recognize Macedonia’s name—as a political gesture, such petitions are inevitably asking one to pick sides: “Either you are with us, or you are with [them],” as George W. Bush used to say. The role of a writer is not to pick between warring ideological factions, serving the interests of one or the other, but to engage in a sincere, thorough critique of each and, ultimately, to draw attention to what we all have in common—our humanity. 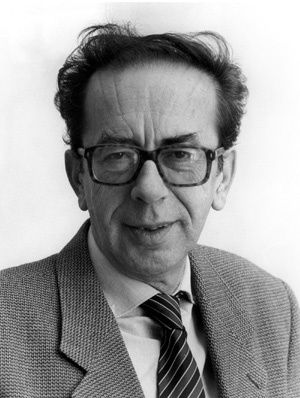 All the main objections to Kadare’s nomination for the Nobel Prize stem from a single source: the inability of a Western audience to leave behind its own cultural provincialism and appreciate a writer who does not fit the world literature stereotype of, as James English describes it, a locally flavored multicultural mélange. The first one of these objections, the idea that Kadare somehow wasn’t dissident enough and that he cooperated with the Hoxha regime, stems from a typically Western understanding of the anti communist dissident as an outspoken, Solzhenitsyn-like figure who publishes his dissenting work against enormous odds, and then emigrates to the bright and happy West—a Hollywood version of the Eastern European dissident. Kadare, on the other hand, belongs to the invisible multitudes that resisted dictatorial regimes from the inside, a much more daunting and heroic feat. Kadare survived for more than forty years publishing his quietly but unmistakably anticommunist novels under the very Stalinist nose of dictator Enver Hohxa. The only thing that would make him more of a hero would be if he had died under persecution (a constant possibility) and published his heretical stories from communist heaven itself. Kadare has dared to attack that holy cow of all Western imperial ideology—freedom. He dared to show that the freedom that succeeded communism has not been the happy ending that the Western press has made it out to be; in fact, it might even be worse than communism itself. The second objection, leveled by none other than the oracle of Western literary taste, The New Yorker’s critic James Wood, concerns Kadare’s latest novel The Accident, which Wood claims “is spare and often powerful, but it is a bit too spare, so that the ribs of allegory show through, in painful obviousness.” While it is beyond the scope of this essay to go into a close analysis of the novel, it is clear from Wood’s essay that the main plot presents “an allegory about the lures and imprisonments of the new post-Communist tyranny, liberty.” Kadare has dared to attack that holy cow of all Western imperial ideology—freedom. He dared to show that the freedom that succeeded communism has not been the happy ending that the Western press has made it out to be; in fact, it might even be worse than communism itself. The Western press, which had no problem extolling the virtues of Kadare’s prose while he was quietly undermining their ideological enemy—and even criticized him for being too quiet, too subtle in his attacks—suddenly believes that his allegories are too obvious and not subtle enough. Plainly obvious in Wood’s critique is the fact that this is a problem of ideological clash rather than one of literary merit. The last objection, echoed by the New York Sun in 2005—that his work is too opaque and too hard to translate, his country too remote and ill-known for a Western audience to even understand (let alone appreciate)—stems from the same sort of Western self-centeredness that makes it hard to imagine Kadare as a multidimensional critic of conflicting ideologies. The themes of Kadare’s novels—the allegories to empires old and new; the question of history and its meaning; his quiet yet persistent belief in the perseverance of the human spirit—all these apply across time and boundaries. The context for his stories is not just Albania at various points in history, it is us—the readers, and the worlds that we create in our own minds and hearts. His language, while poetic and indeed difficult to translate in all its effervescent brilliance, retains its power even in double-translation, such as in The Siege, which has been translated into English from the French, not from the original Albanian. 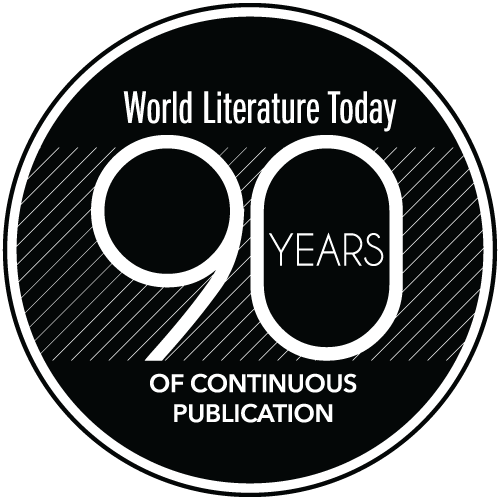 Reading translated literature, like contact with anyone other than yourself, always requires a certain amount of intellectual effort; to give up on a writer purely because he sounds foreign is not only an act of laziness but also a loss for us as individual human beings and as a human community. Finally, to get back to the Nobel prizes, those Oscars of the literary world, what does idealism or a “work of literature in an ideal direction” mean today? Idealists are not people who live in an ivory tower, looking out through their narrow window into a palm-tree-embroidered sky, envisioning a world of calm, peace, and happiness. Idealists are often cranky, and sometimes downright misanthropic. To them, a palm-tree-embroidered sky is more likely to signify the Technicolor glitter and gloom of contemporary pop culture than a bright oasis of the future. In other words, they are intensely involved with the present. For Kadare to keep writing bleak-but-safe critiques of a distant communist past would have been the easy way out; it would have cemented his reputation as that great Eastern European writer who criticized those mean communists. Instead, he chose to comment on things that are uncomfortable, for him as much as for us; that raise questions rather than answer them; that have no resolution in the present, and maybe none in the future. This is idealism. And this is why he should win the 2013 Nobel Prize in Literature. English, James. The Economy of Prestige: Prizes, Awards, and the Circulation of Cultural Value. Cambridge: Harvard University Press, 2005. Kadare, Ismail. The Siege. New York: Canongate, 2008. Kirsh, Adam. “Mystery of Man: Just Who Is Ismail Kadare?” New York Sun, June 27, 2005. Wood, James. “Chronicles and Fragments: The Novels of Ismail Kadare.” The New Yorker, Dec. 20 & 27, 2010. Nina Sabolik is a PhD student in English literature at Arizona State University. She is currently preparing her dissertation on the effects of immigration on nationalism in the works of contemporary Yugoslav immigrant writers in Western Europe and the United States.